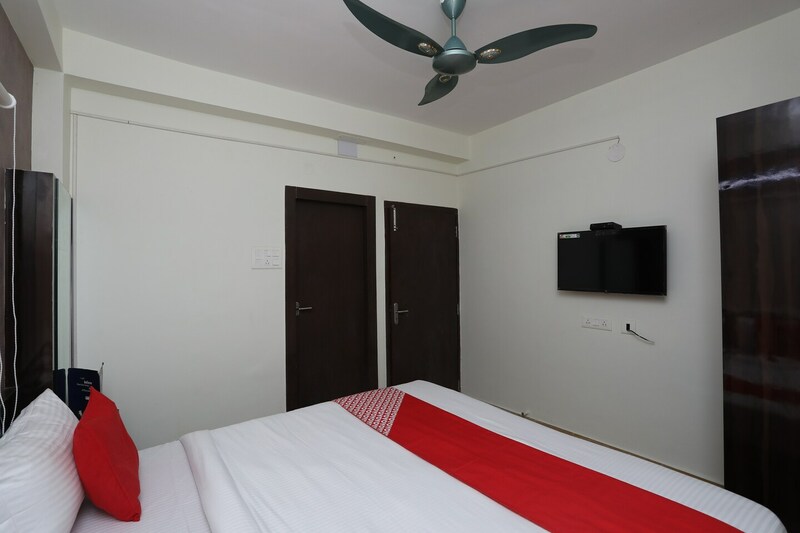 Maryada Hotel aims at keeping the customer happy with cheerful interiors and modern amenities. It has all the provisions for a safe and comfortable stay. The closet and comfortable chairs are the perfect additions to this simple and elegant room. A separate sitting space along with a low table allows you a mini workspace. You can also catch up on your leftover work with the help of free Wi-Fi. The mini closet and the attached bathroom with a geyser makes it a great place for an overnight stay. The neutral tone of the room adds to the comfort level.